The Walkmen are one of those bands that I can fortunately claim to have been hip to from the beginning. A good friend raved about their debut, 2002's Everyone Who Pretended to Like Me is Gone so I picked it up immediately. Although I didn't love it at first I came back to it a year later and realized the beginnings of this bands brilliance. Since then the band has released two solid albums (2004's Bows + Arrows and 2006's A Hundred Miles Off) and also put out one of my personal top 20 albums of the decade in 2008's You & Me. The expectations the New York band has riding on their new release after the genius You & Me has got to be pretty heavy. Although the band didn't follow it up with anything as good as Y&M, they didn't fall of the map either with their new album Lisbon (out tomorrow on Fat Possum records). Where You & Me was best enjoyed at three in the morning with a Jameson on the rocks, Lisbon might be the still drunk hangover album for the next morning. The tempo and mood of the album is definitely not as dark as the previous record. The opening track 'Juveniles' is a perfect example as it's almost poppy guitar lick would have felt out of place on Y&M. 'Angela Surf City' is another album highlight that's as upbeat as The Walkmen have sounded in a while. My favorite track on the whole album is the one that sounds the most like The Walkmen you know and love. 'Blue As Your Blood' proves once again that The Walkmen are not only capable of creating great albums consistently, but great tracks as well. Not all bands can do both but with previous tracks like 'The Rat' and 'In The New Year' and now with 'Blue As Your Blood' they continuously have at least one of my favorite songs of each year they release an album. It seems like I've said this a lot this year, but Lisbon is a grower. This didn't capture me instantly like You & Me did. Now that I've had a few weeks to let it soak in, I keep coming back to this one. 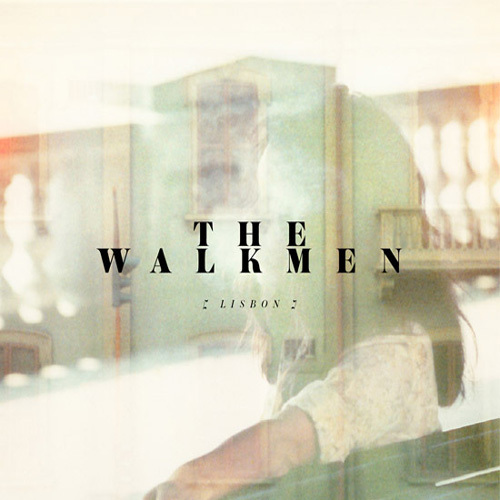 Once again, The Walkmen have released a contender for top 10 album of the year. If you haven't already gotten tickets to their October 19th show at The Bottleneck in Lawrence with Japandroids opening, you better get on it. If it hasn't sold out already, it will be soon. There is really no reason why a band like The National are playing Uptown and The Walkmen are somewhere as small as the Bottleneck...so get tickets quickly.